Motiv: Antitrust proceedings against Daimler, BMW and Volkswagen. GERMANY, BONN - APRIL 06: On suspicion of anticompetiti ve agreements, the EU-Commission intiated antitrust proceedings against Daimler, BMW and Volkswagen. 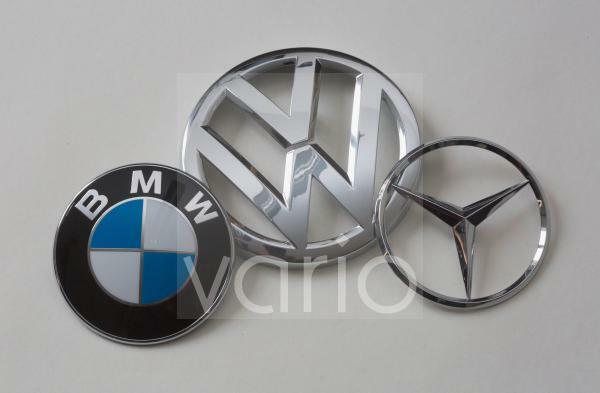 The symbol photo shows the logos of Daimler, BMW and Volkswagen.